I’m one of those people who prefers to take my time drinking my coffee and checking my emails before I even think about what to eat for breakfast. This is great on the weekends when I don’t have plans. But during the week when my time is very limited and I have to get out the door early to get my boy to school, it doesn’t work out very well for me. Most of the time I grab a protein bar and a banana on my way out. It can make for a boring, unsatisfying breakfast. Having something prepared and ready to eat in the morning would be ideal for my lifestyle. 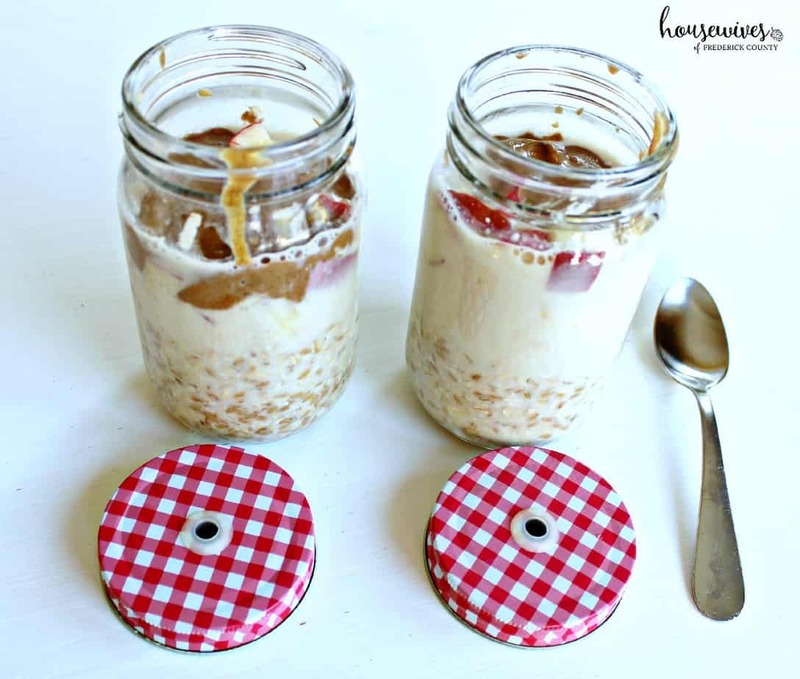 For the last year or so, I’ve been seeing various overnight oatmeal recipes all over Pinterest. So I finally decided to make it and see what all the hype is about. I searched my cabinets and refrigerator to find ingredients that I already had. 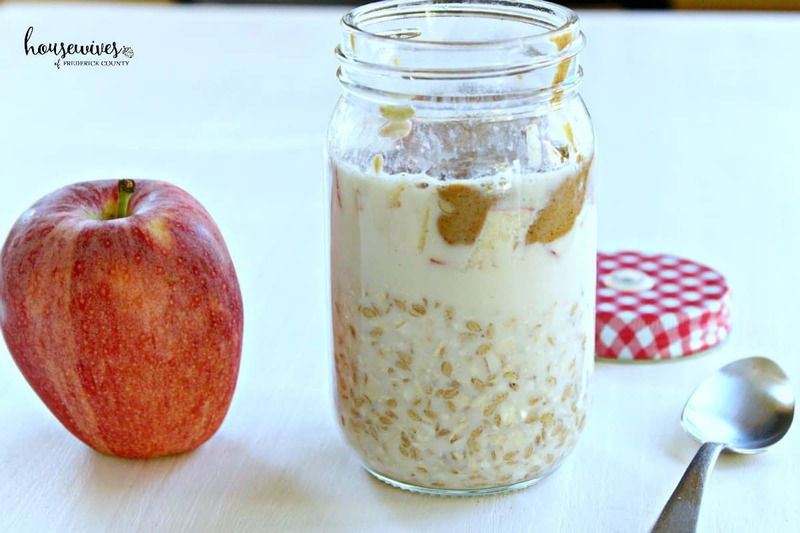 Apple Almond Butter Overnight Oatmeal is what I came up with. 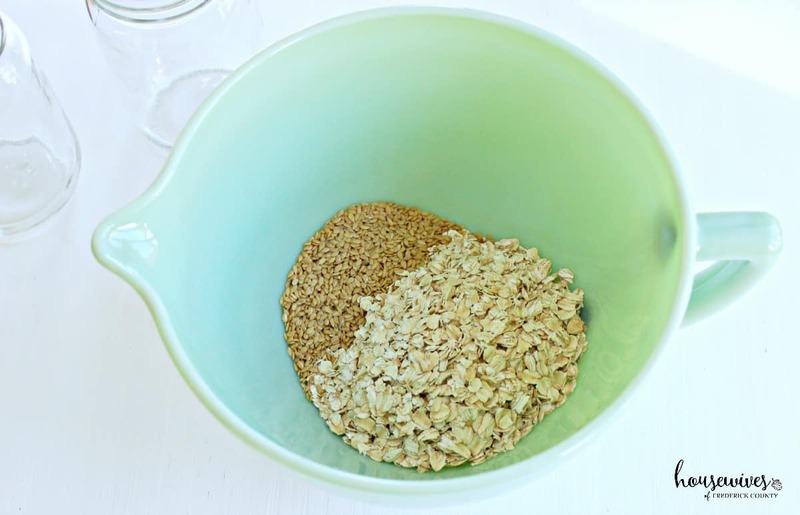 I started out with oats and flaxseed and mixed them together. Then I added almond milk and vanilla extract and mixed it well. I divided the mixture into two mason jars. 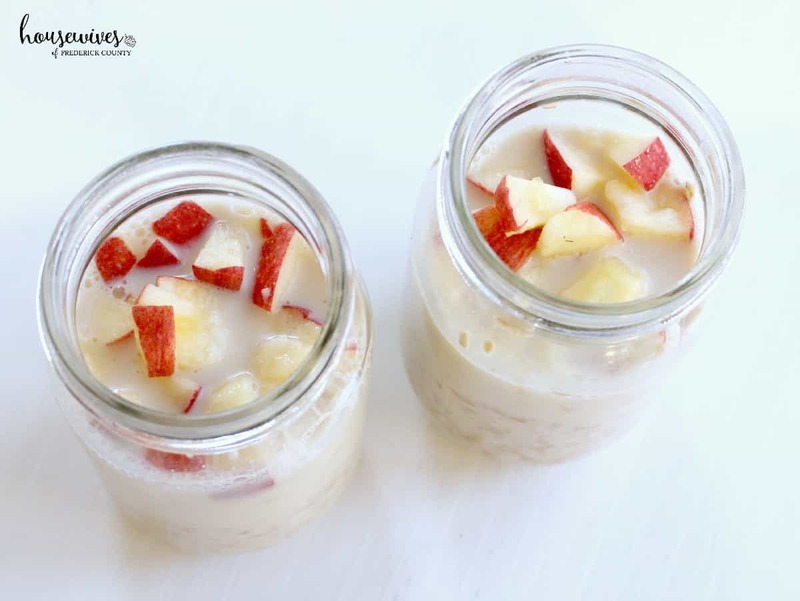 I chopped up one gala apple and sprinkled it evenly over top of the oatmeal mixture in both mason jars. NOTE: Next time, especially with apples, I will add them the following morning so that they stay crispy and don’t taste fermented. 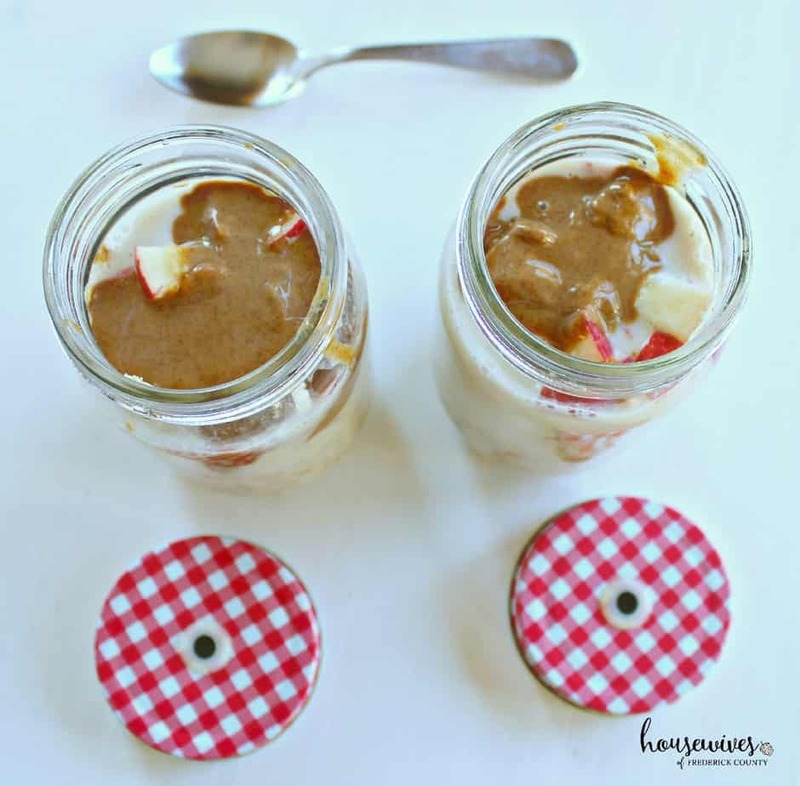 I then added a tablespoon of almond butter on top of the chopped apple in each jar. NOTE: Again, you may want to wait until the following morning to add the almond butter so that the oatmeal and almond milk can do it’s thing in the refrigeration stage. It’s not very pretty, but it’s packed full of protein, fiber, omega-3 fatty acids, and antioxidants. All in a one-jar breakfast! LAST NOTE: Don’t use the lids that are pictured. These lids (with holes in the middle) are used to put straws in for beverages. 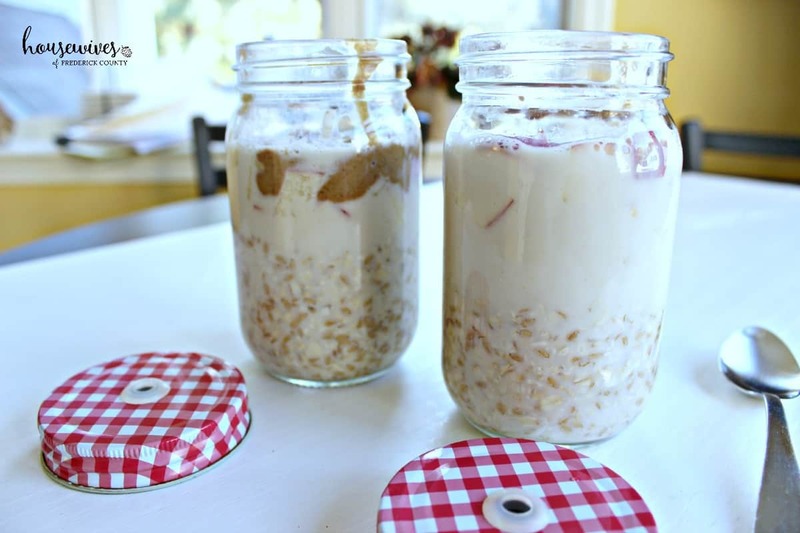 However, because the oatmeal needs to absorb the almond milk during the refrigeration period, the lid needs to allow no air to get inside the jar. This overnight oatmeal is so satisfying. It was so nice to get up, drink my coffee, get ready for my day and then open the refrigerator door, pull out a mason jar and dig in! 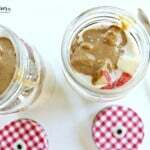 I was introduced to almond butter when I made my Fruity Nutty Protein Shake. I was so used to eating only peanut butter all of my life, that at first I wasn’t sure if I liked almond butter. But now I really think I prefer it over peanut butter. And it’s healthier for you. 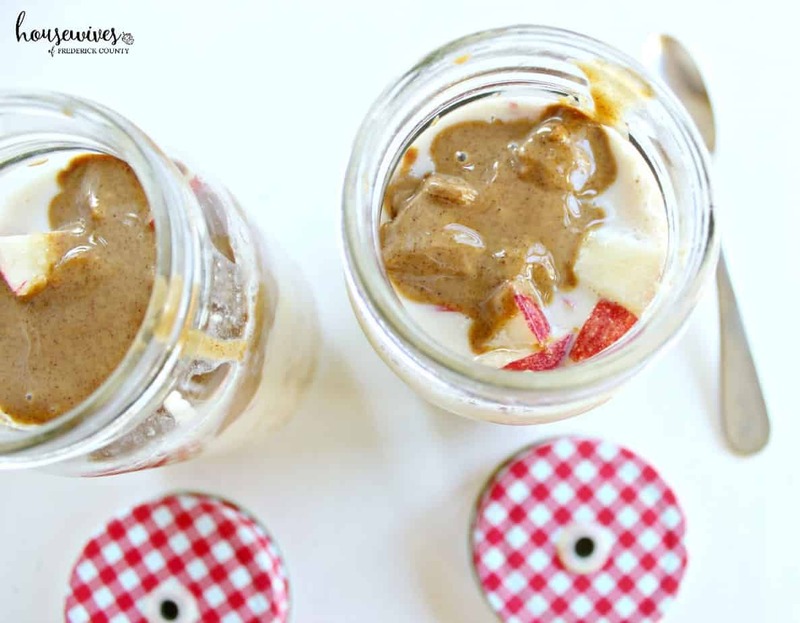 Eat one of these breakfasts-in-a-jar, and you are set for the morning. It’s extremely satisfying and seriously delicious. Add in vanilla extract and almond milk and mix well. 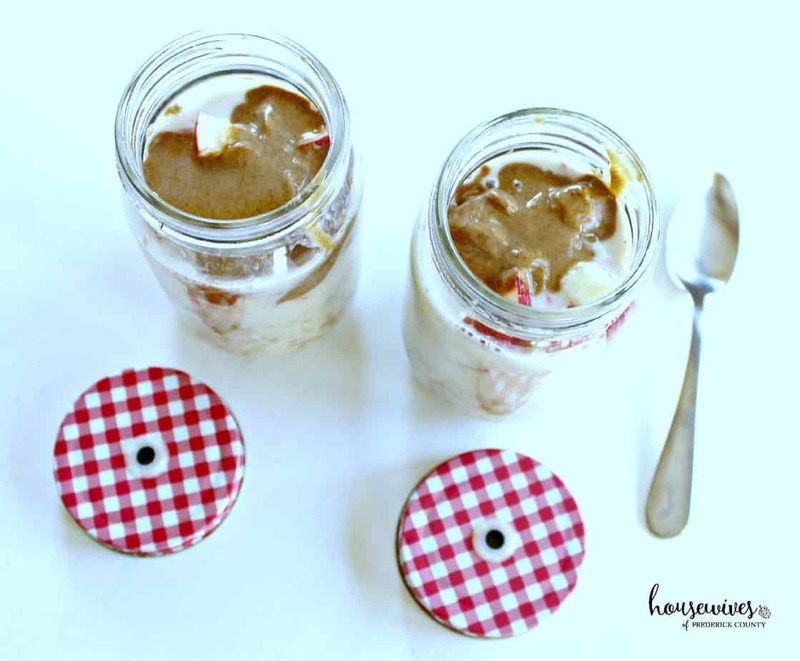 Divide mixture equally into 2 medium size mason jars. Cover jars with lids (don't use lids with straw holes in them) and place in refrigerator overnight. 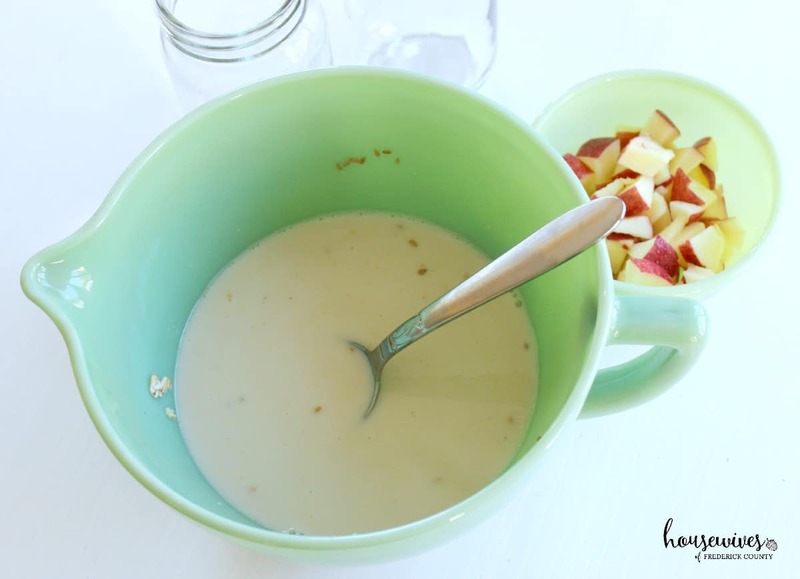 The following morning, divide chopped apple evenly and sprinkle over top of each oatmeal mixture. Add 1 tablespoon of almond butter over top of each oatmeal mixture. Your breakfast is ready to eat! The above pictures were taken before the mixtures were refrigerated overnight. This isn’t how it will look when you take it out of the refrigerator in the morning. It will look like cooked oatmeal. The oatmeal will have absorbed the almond milk. This was my very first overnight oatmeal, but I know it won’t be my last. 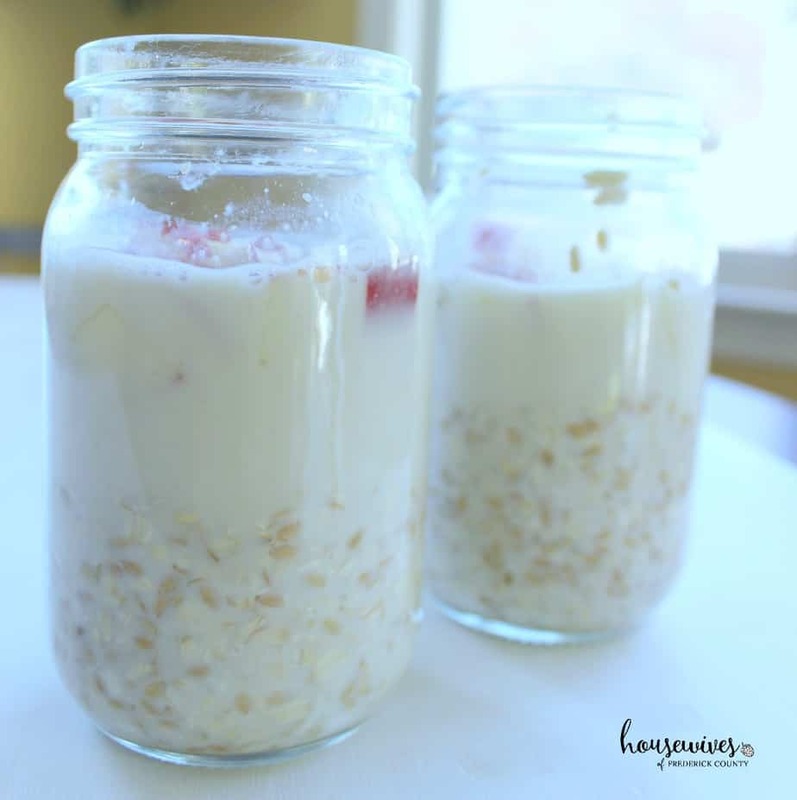 Have you ever made overnight oatmeal before? Let us know in the comments what ingredients you add to yours. Yum! Sounds good John! Do you add the toppings the next morning? Or do you add them before placing in the refrigerator overnight?